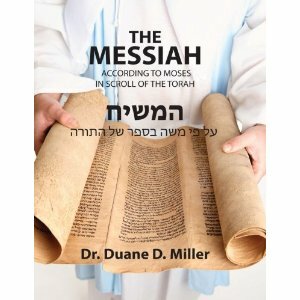 I am pleased to announce the book titled “The Messiah according to the Scroll of the Torah.” I spent one year organizing the weekly Torah studies into book format consisting of 520 pages. The five books of Moses call us to deepen our faith and relationship with the Lord. Learning more about the Messiah according to Moses in the Scriptures will help us to live out our faith in a world that stands against the Word of God. According to the Scriptures, it is in the Messiah that the Lord empowers us by His Holy Spirit to walk in His ways and to live our lives in a way that is pleasing to Him. The Torah confirms Yeshua’s words that a full life, a life filled with blessing comes by drawing near to the Lord in His Messiah (John 15:1-17). Dr. Duane D. Miller obtained his Bachelors, Masters, and PhD in Chemical Engineering from the University of Akron Ohio. He is currently employed as a research scientist developing sorbents for the separation of acidic gases and the catalytic combustion of fossil fuels. He has been studying the Hebrew Scriptures and the Torah portions for 15 years. This book contains the studies from 5 years of teaching the Torah. The Torah, an ancient text written thousands of years ago, what is its purpose, how does it relate to the Messiah, and what relationship does the Messiah have to the Torah? According to the Apostle Paul in Romans 10:4 the purpose of the Torah was to reveal the Messiah. The aim of the Torah is to direct us to the Promised One of God and serves as a foundation for knowing more about Him. Israel’s concept of the Messiah grew out of the first five books of Moshe. This book contains studies on the weekly Torah portion examining the Hebrew, Aramaic, and Greek translations in order to gain a deeper understading of the Messiah. This book cites the primary sources and assumes the reader has a rudimentary understanding of the Hebrew Language being able to use a Hebrew Dictionary. The reader will learn about God’s process and purpose of bringing the Messiah to earth through the nation of Israel. The Lord God Almighty has spoken to us within the pages of the Torah; come let us study together to understand the Messiah according Moses in the Scroll of the Torah.